The words moss and lichen made it very early into my vocabulary, I am not a native English speaker and moss and lichen seem rather unusual words for a foreigner to know. 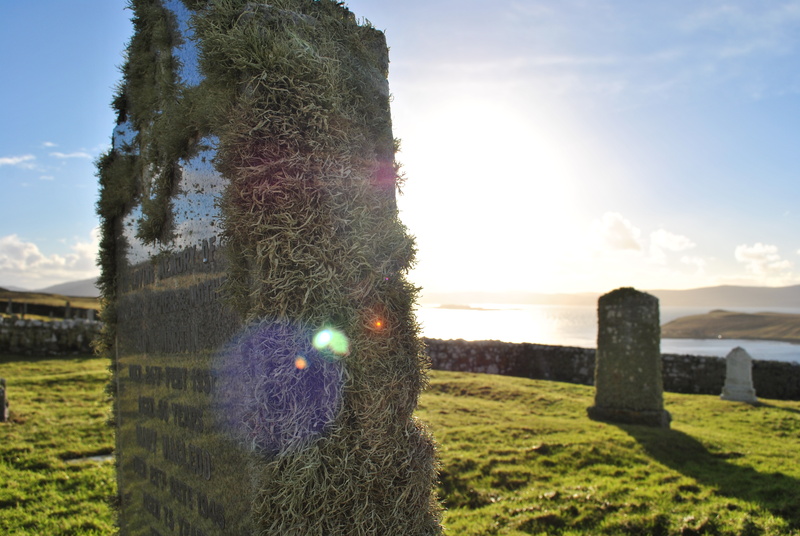 But then again, for a foreigner who delights in Scottish cemeteries, it is not such an unusual vocabulary after all, because moss and lichen can be found in almost all the graveyards of Scotland, especially in the West. The varieties found are breathtaking; colourful, intricate, delicate, abundant, lush. 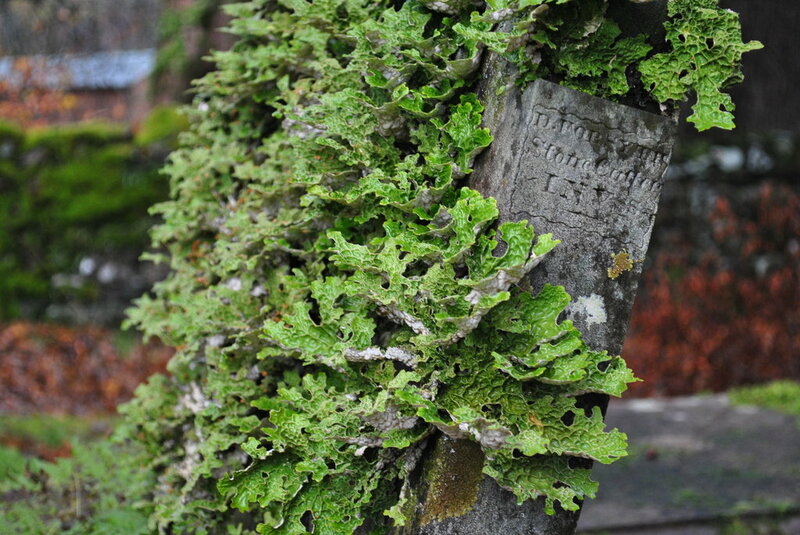 Moss and lichen are growing peacefully amongst death and decay – a quiet and drawn back existence, noticed only by those who do not belong, the visitors. Lichen, half fungus, half algae, is the more unobtrusive, the more demure of the two. It comes in various colours, often in round blotches. Like a living crust slowly covering cold stone on a cold grave. Some look like the hair of old men, brittle and thin. Often lichen forms ornamental patterns. Mosses thrive in an environment like the West of Scotland where dampness is the rule: the green moss of home. 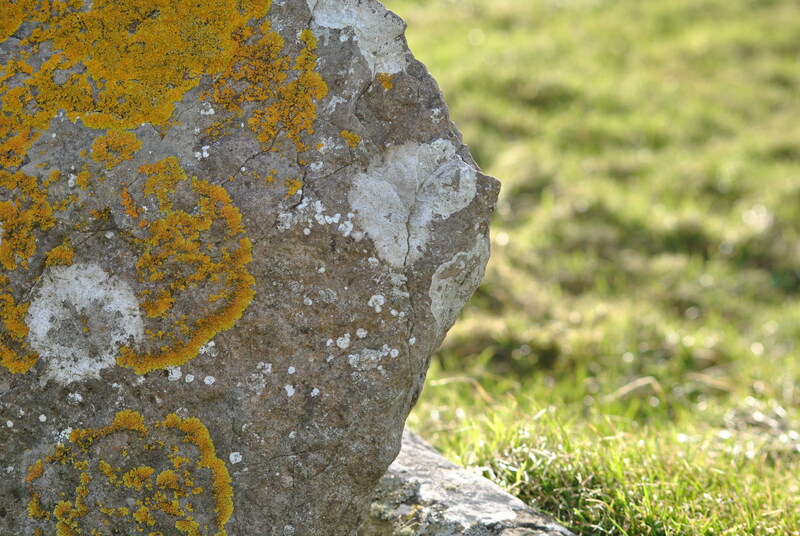 Considering this very special environment, moss (as lichen) can grow relatively undisturbed for centuries. It shrines the stone, sometimes completely engulfs it. Textures are abundant. 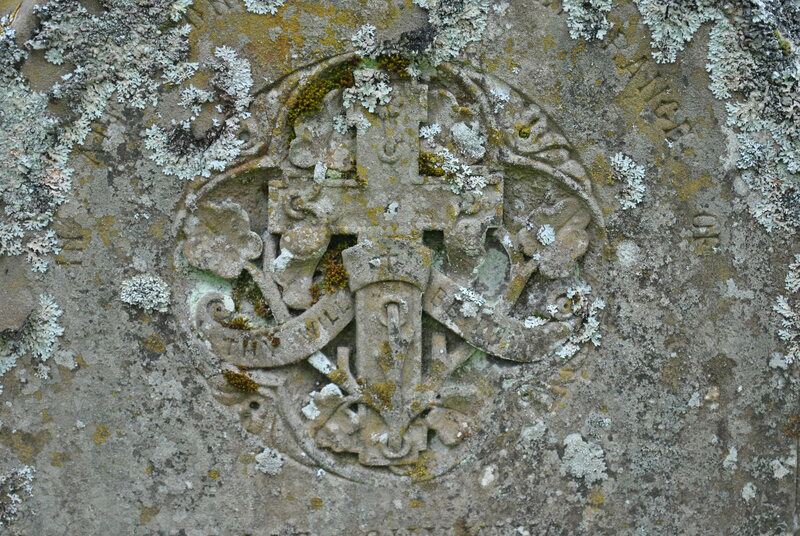 Some species depend on the stone variety; some of them are very rare of even in danger of extinction which ironically makes graveyards a place for survival. Moss and lichen need one thing most: time. 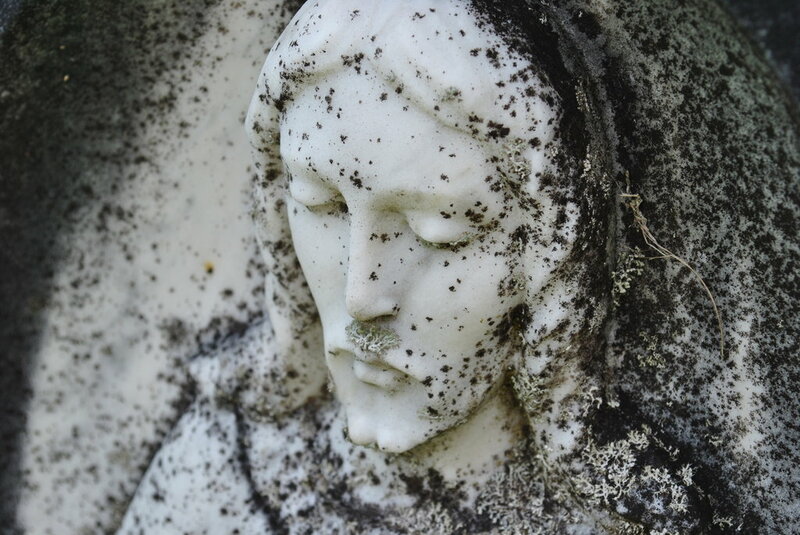 There is no better place for them than an eternal resting place.